"Although required by employers, a resume is not the best tool for getting interviews." Also known as RAAF Officer. Air Force officers command, train and motivate Air Force airmen and airwomen for peacetime and wartime tasks. Air Force officers work at the middle and executive management levels within the Royal Australian Air Force (RAAF). Officers specialise in various areas depending on their training and qualifications. Air Combat Officer - uses radar systems to detect enemy aircraft and provide fighter pilots with the tactics to intercept them and engage in combat. 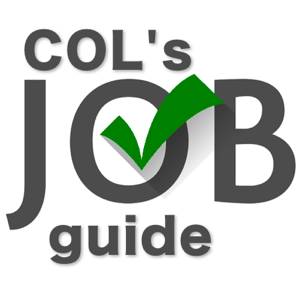 Air Traffic Control Officer (Joint Battlefield Airspace Controller) - manages the safe flow of military and non-military aircraft around Air Force bases and military areas, assisting with flight planning, coordination and control. Airfield Engineer Officer - manages, assesses, repairs and maintains the operation of Air Force airfields, roads, buildings and engineering services. Dental Officer - treats and diagnoses tooth and mouth problems of Air Force personnel. Environmental Health Officer - monitors pollution levels, advises on preventative health measures and develops policies and strategies for maintaining a healthy environment. Medical Officer - provides health services for Air Force personnel in RAAF hospitals, first aid posts or in emergency situations. Nursing Officer - provides care to Air Force patients and assists doctors with medical procedures in RAAF hospitals, remote locations or during medical evacuations. Pilot - flies combat and support aircraft on a variety of missions and roles, conducts flying lessons and carries out planning and administrative duties. To become an Air Force officer you usually have to gain your HSC/ACT Year 12 with passes in English and three other broad subjects. To join the RAAF you will need to successfully complete a series of aptitude tests, medical assessments and selection interviews. If you are successful, there are four different education and training pathways for Air Force officers. You may apply to join the Air Force as a non-degree, direct-entry officer cadet; you may complete a degree through the Australian Defence Force Academy (ADFA); you may apply as a sponsored undergraduate; or you may apply after completing one of a selected range of specialist degrees. Entry to all officer cadet positions requires the completion of the 17-week Initial Officer Course at RAAF Base East Sale, Gippsland, Victoria. This is followed by specialist training with the RAAF. Entry to ADFA usually requires you to gain your HSC/ACT Year 12 with passes in English and mathematics, as well as an appropriate score in prerequisite subjects relevant to your chosen area of study. All ADFA students are required to complete a 3-year course of academic study at the academy, followed by single service military training. Sponsored undergraduates are full-time university students who are currently studying a degree relevant to the Air Force at a recognised tertiary institution. They can apply for sponsored undergraduate entry into the Air Force after having completed at least one year of their degree. Following completion of their specialised degree, they must then complete the 17-week Initial Officer Course before becoming officers in their specialised field. People who have already completed a specialised degree may apply for direct entry into the Air Force as Graduate Officers. These applicants are required to complete the 17-week Initial Officer Course before undertaking training in their specialised field. Each specialised occupation has its own entry requirements. For full details about this option, contact your nearest Defence Force Recruiting Centre. To enter ADFA, you must be at least 17 years of age and have satisfied entry requirements for a relevant degree at the University of New South Wales or equivalent. Applications usually close in September of the year prior to entry.